The article by Wang et al. provides some interesting information about the effect of iodized salt for the prevention of iodine deficiency disorders in children and pregnant women living in Shanghai, China. Iodine deficiency was prevalent in China before the implementation of compulsory salt iodization (the addition of potassium iodate) in 1994. Later, the recommended concentration of iodized salt has been adjusted by the Chinese government several times to reflect the current iodine status, particularly in different provinces. For example, Henan and Shandong are categorized as iodine excess. In Shanghai, the rate of use of iodized salt by household is about 79%, which might indicate a low coverage of iodized salt (< 90%). One of the possible reasons is the relaxed availability of non-iodized salt (about 1200 non-iodized salt supply markets) in Shanghai. This would then enable people to use non-iodized salt in their household. In addition, since Shanghai is a coastal area in China, they might think that they do not need to consume iodized salt because they have had enough iodine from fish and seafood products. The perceptions of using iodized salt might increase their feeling of being under a greater risk of getting excess iodine which might be associated with the onset of thyroid disease . Therefore, they have concerns about getting excess iodine. Future studies should include the assessment of thyroglobulin, thyroid hormones, and thyroid-stimulating hormone (TSH) when measuring iodine status in populations [2, 3]. This is because these biomarkers are longer term biomarkers, which can provide a more accurate and comprehensive assessment of iodine status in Shanghai than urinary iodine concentration (UIC) [2, 3, 4]. 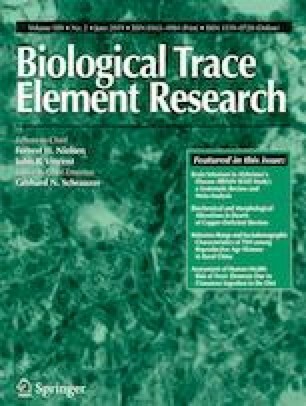 However, it should be also considered that increases or improvements of iodine status are obviously physiologically associated with increased TSH levels  so that the mere finding of higher TSH values does by no means justify to conclude that the prevalence of true hypothyroidism has increased after an iodine intake rise.